Chris Bruce is the managing director and co-founder of Thomsons Online Benefits with Michael Whitfield. 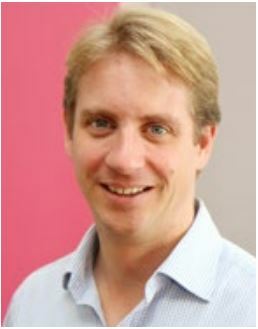 Chris led the development of Thomsons benefits administration technology platform, Darwin, as well as core intellectual property such as Intelligent Reward, a unique benefits strategy development methodology. His role spans every aspect of the business, from engaging with clients to software development. This means he is in close contact with HR and benefit specialists globally, understanding the changing benefit landscape. Prior to co-founding Thomsons Online Benefits in 2000, Chris worked as a Senior Consultant in employee benefits for South African financial services group Alexander Forbes, during the latter’s international expansion phase.